I love this book, this was my second time reading it and it was just as interesting as it was reading it the first time round ten years ago. 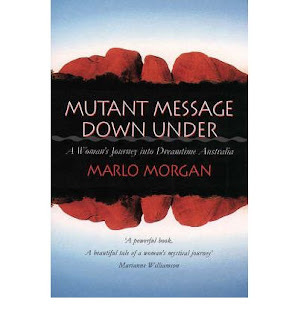 The book follows the author on a spontaneous Walkabout with the Australian Aborigines who teach us the real value of life, without all the material conetations which we attach to this life on this wonderful planet of ours. A definite Bookshelf book as it is one that I have loved and am sure my girls will want to read as they get older. You can get this book at a really good price through Book Depository (I love their store……no shipping worldwide, this means a lot to us South Africans who sometimes pay more for the shipping than for the books we buy!!). Click on the books image above or the link below to find out more.